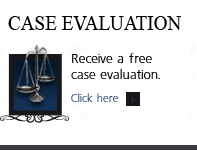 Colorado Domestic Violence Cases- The Arrest - Denver Criminal Attorney Specializing in Domestic Violence Cases - Colorado Criminal Defense Lawyer. 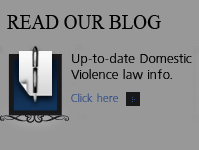 Colorado Domestic Violence Arrests: What Actually Happens? If someone has accused you of domestic violence, the consequences are immediate. Do not attempt to navigate this minefield alone. What will happen? Police are required to ARREST AND TAKE TO JAIL anyone accused of domestic violence if the police talk to them within four hours of when the crime allegedly happened. The Police will arrest the person they decide is the PRIMARY AGGRESSOR, This determines who is the VICTIM and who is the DEFENDANT. This is usually done on the spot, no matter how little they investigate. The decision the police make about who is the defendant and who is the victim can be made based on your size, gender or who the officer believes more at the moment. The loss of time at work or school can be significant no matter what the outcome. 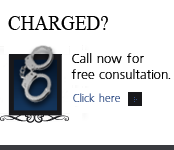 You may be required to post a BAIL that can cost you hundreds or even thousands of dollars. The Courts are also likely to enter a NO CONTACT ORDER so that you may not contact person they decide is the victim and any witnesses. You may be ordered to have no contact with your family or children, your home, and even your business or school. The Court will order you to SURRENDER ANY WEAPONS you own, and they may be considered forfeited in the future depending on how your case turns out. If you are convicted on any domestic violence offense you will lose your RIGHT TO POSSESS A FIREARM for life under federal law. It is essential that you have a strong advocate working on your behalf as soon as possible. These complex cases are often rooted in complex family dynamics that require a real effort to understand and explain.